Clinton Street Greater Bethlehem Temple of the Apostolic Faith is a loving ministry. Click to learn more! Here at Clinton Street Greater Bethlehem Temple we are here to serve you. We have several Ministries that assist with the spiritual growth of the individual. Our primary services are mainly administered through our spiritual leader Bishop Shedrick L. Clark Sr. On Sunday morning he is our main speaker and on Wednesday night he is main teacher for our Bible Class. 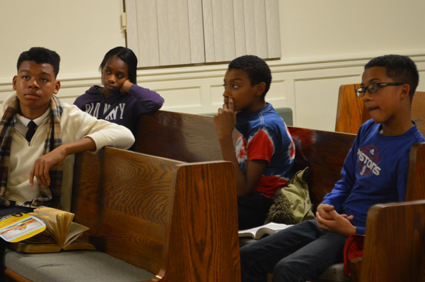 Our Youth Department sponsors many different activities to keep the young people busy and interested in God. From trips to picnics to outreach activities, there are many functions for the young people to enjoy. We also visit and pray for those who can not make it out to services for themselves. Our Pastor believes if we serve the community then God can save the community. Checkout our church ministries to see where you belong. Our staff is here to serve you. Click here to view our leaders. Get more information on church membership. Click here to inquire. God Bless you . Need a Ride? Call our office Monday- Friday from 10am – 3-pm to schedule a pick up. 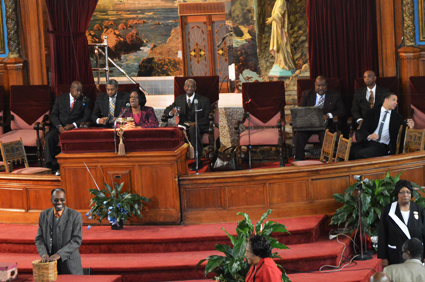 Clinton Street Greater Bethlehem Temple honors family. Bring your family and grow with us. We love to have you.